Photographer Ishiuchi Miyako has worked with tireless passion, ever since winning the Kimura Ihei Award for new photographers in 1979. In 2005, Ishiuchi represented Japan at the Venice Biennale with “Mother’s,” a series of photographs of her late mother’s belongings. She thereafter embarked on the series “hiroshima,” for which she photographed one-piece dresses and other personal articles of victims of the atomic bomb in Hiroshima. 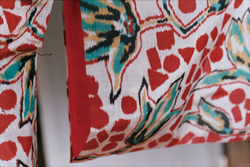 In the process, she had contact with a great many silk garments—an experience that awoke her interest in silk. Then, because Kiryu, Gunma Prefecture, her home city until the age of six, is a famous textile production region, she in 2010 took “silk” as a theme and began photographing meisen silk weave fabric, silkworm cocoons, silk mills, and weaving mills. During his 70-year career, Genichiro Inokuma (1902-1993) changed painting styles frequently and radically. 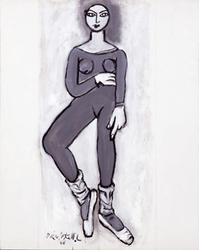 The realistic portraits of his early period, the geometric abstract paintings of his post-war period, the serial works of faces of his late years: arranged period by period, his paintings display such variety, they might have been painted by several different artists. On the other hand, images that differ entirely show similarities of motif, composition, and color balance. This exhibition looks retrospectively at Genichiro Inukuma with a focus on the “Inokuma touch” that never changed in his art, no matter how incessantly he altered his art in pursuit of new expression. By displaying Inokuma works of differing style side by side to exhibit the features they share in common, the exhibition reveals the fascination of his art from both aspects: change and changelessness. Our third Mimoca’s Eye exhibition of young talent introduces London-based artist Francis Upritchard. 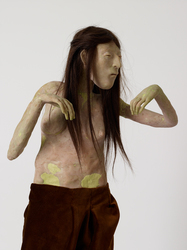 Born 1976 in New Zealand, after art school she emigrated to the UK in 1998 and began creating installations with brightly coloured human figures sculpted in modelling clay. Chosen to represent New Zealand at the 2009 Venice Biennale, this internationally acclaimed artist evokes an eerie sense of déja vu as she freely mixes references across time and cultures, often including intentionally misconstrued elements to humorous effect, encouraging us to question how history has been fabricated and culture represented. In this, her first solo show in Japan, Upritchard asks us re-examine our preconceptions and understandings of other cultures from new perspectives, while revealing a world with countless hidden interpretations. In summer 2011, a mural by Genichiro Inokuma (1902-1993) was found at a building demolition site near the Kamogawa River in Kyoto. The building was a hotel of long-standing, Hotel Fujita Kyoto, which had ceased operations in January of the same year. 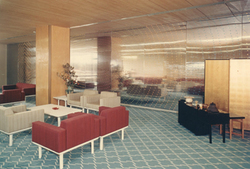 The mural, Fluid City (1969), had been installed in the hotel’s lounge. Hotel Fujita Kyoto opened in 1970 on the occasion of the Expo’70. The building’s architect, Junzo Yoshimura, asked Inokuma to design a mural. When the hotel was remodeled in 1982, however, a new wall was installed before the mural, which became hidden from sight. After announcement was made of the building’s impending demolition, the hotel’s owners received an anonymous phone call informing them of the mural’s existence. The mural was then safely removed from the demolition site and gifted, thereafter, to Marugame City and restored at this museum. This exhibition will publically display the mural for the first time since its restoration. A mural of large scale, some 3m high by 15m wide, it consists of chrome-plated steel panels punched with 3,000 to 4,000 holes. The panels have a colored acrylic plate backing. When illuminated from behind, the work displays a colorful geometric pattern of lines. Both in terms of materials and techniques, the mural is an artwork of extreme rarity in Inokuma’s oeuvre. 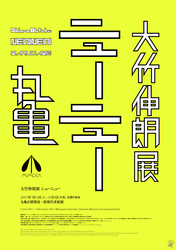 "Shinro Ohtake: NEWNEW" is a solo exhibition of his new works since 2010. After graduating in 1921 from Kagawa Prefectural Marugame Middle School (present Marugame Senior High School), Genichiro Inokuma (1902-1993) entered Tokyo Fine Arts School (present Tokyo University of the Arts). 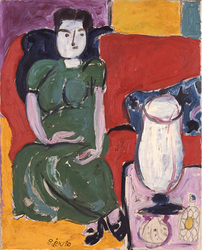 In 1926, while still in art school, he was selected for inclusion in the Imperial Art Academy’s 7th Art Exhibition. 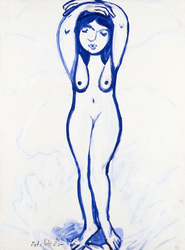 Thereafter, as Inokuma increasingly gave play to his genius as a painter, he was specially selected for the Imperial Art Academy’s 10th (1929) and 14th (1933) exhibitions as well. 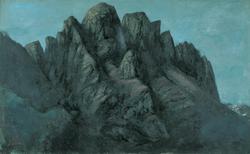 In 1933, he painted Mt. Myogi for Marugame Middle School’s 40th anniversary. Inokuma continued to donate works to the school in the years that followed. He also twice gave lectures as part of the school’s anniversary celebrations and otherwise maintained a close relationship with his alma mater. The events and encounters of his youth in Marugame became a starting point for Genichiro Inokuma the painter. This exhibition, which marks Marugame Senior High School’s 120th anniversary, recalls Inokuma’s relationship with Marugame and, especially, his alma mater and introduces related artworks.